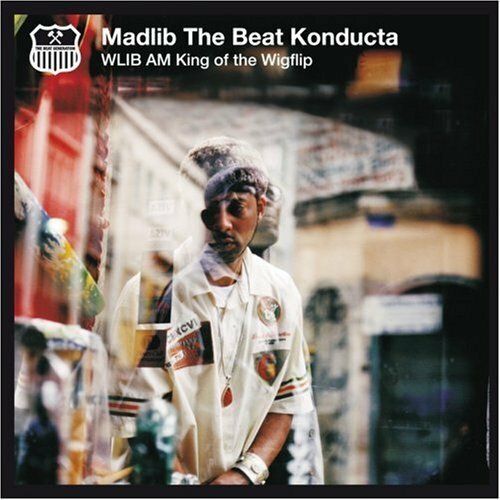 Madlib is the kind of Producer/Artist who can make a record and make you feel some type of way, like the time you was at that hookah bar and it broke out into a 30min fight or that night you and ya boys rode around for the first time with [or without] your license. That’s what makes a great producer or artist for that matter, whatever you’re listening to, they have to draw out some type of emotion. And if you’re a great producer, you can bring the best out of an MC. With his newest album released just last week, Madlib takes it back to the old school, before there were podcasts, before there was CD’s. We talkin radios on the AM dial baby. Now don’t get it twisted, WLIB AM: King of the Wigflip is not a whole bunch of sampled swing records. It’s a musical tribute to the jazz days of the 60’s and 70’s. Right now, WLIB is gospel but it used to be Jazz and promoted black political awareness. The album has that jazz infusion that you know and love while also keeping it up to date with futuristic synths and bass lines. And expect the soundclips as well. Wigflip happens to be the last installment of BBE’s Beat Generation series, so don’t get it confused with his other Beat Konducta works, this is not a instrumental album. It features everybody from Guilty Simpson, Talib Kweli, Prince Po, J- Rocc, Oh No, Defari and Frank N Dank. Track with Talib Kweli after the Jump. If haven’t heard their collabo, I suggest you do.